Dendrocalamus minor amoneus or Green Ghost bamboo has beautiful lime green canes that feature a darker green stripe. 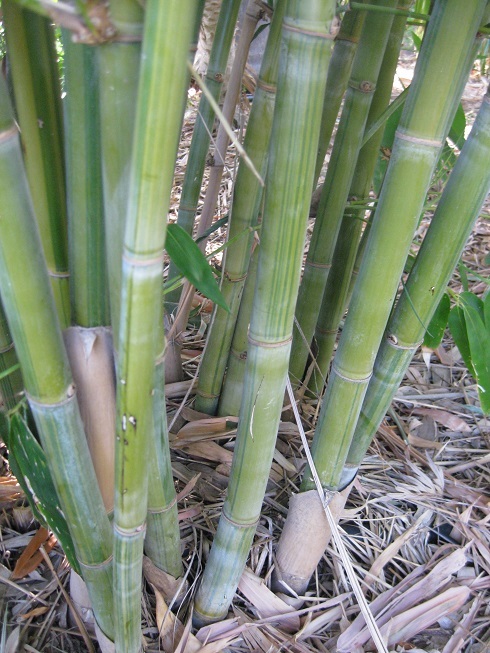 When they are young, the canes have whitish fuzz, which is why this species is called Green Ghost bamboo. This species of big bamboo is very easy to care for and does quite well in the cold. It has large drooping leaves and grows to about 6 metres high in South Australia’s climate. It is definitely a beautiful species of bamboo but keep in mind that it does require quite a bit of space.